Continuing with the series of articles about digital advertising, it's time to look at AdOps, which in short stands for Advertising Operations. 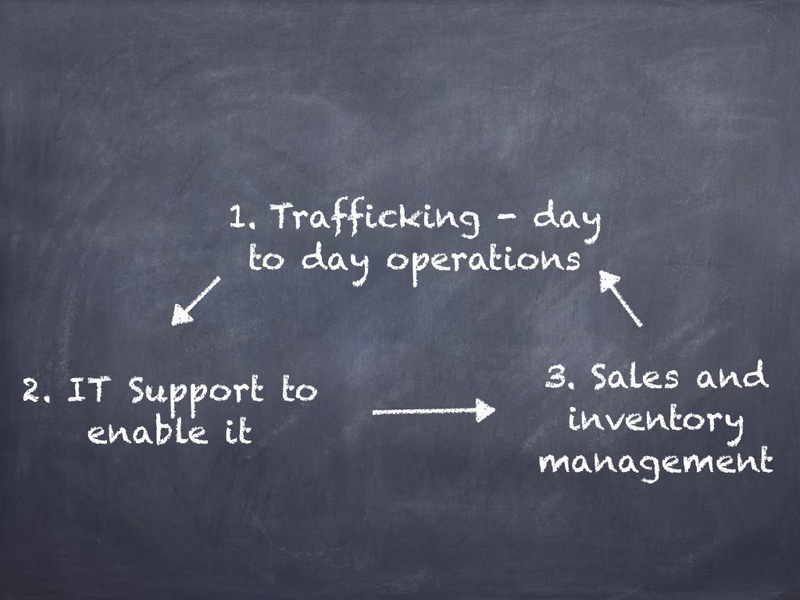 This combines three facets of advertising, trafficking, sales and inventory management, and IT support. These three go hand in hand and make the adops effective and meaningful. At the end of day, it's revenue generation the mandate for the adops team, isn't it? It all starts with the media buying process where an advertiser (could be a brand, ad agency, ad network) reaches out to a publisher or an publisher network with an RFP soliciting response and costs. The publisher works with his adops team and returns back with an response. The two parties indulge in an negotiation and an contract is drawn. This contract in many parlance is called the media plan or an insertion order. This insertion order/media plan is what is key input to the adops team to set the show and let the ball rolling. It would be important to understand the motives for each party involved. Else, why would an RFP be needed at the first place? They might go onto more automated way of AdWords or AdSense. So, two parties, two sets of expectation. These expectations can be met with an effective ad server. Hence, there are multitude of ad servers out there as both parties need IT/application software to run the show. (we referred ad ops needs IT, sales and inventory management). So how does an ad server help achieve the two sets of expectations? So, once the sales teams have come up with an media plan , the adops teams gets down to configuring the ad server to meet both parties expectation. This process is called trafficking. Note, trafficking does not stop here, there are lots more that has to be done... It's a topic in itself. This puts the first stages of an online advertising in order, choose an apt ad server, choose a sales management software, set up a adops team and viola.. you are on ! !